Beauty of Fireplaces in Atlanta with Distinction is essential to know. Home owners decide to have fireplaces installed for many different reasons; however, some of the most common are to increase the value of the home and for energy-efficient warmth. An Atlanta fireplace serves many purposes from being a heat source to a center piece for family gatherings. One of the most exciting elements of installing a hearth into the home is designing it. There are numerous options for ornate design to lend any room a touch of class and individuality. The hearth is generally perceived as the heart of the home and is treated as the focus. There are many options for designing the mantle and surrounds. One possibility is installing recycled pieces and this choice is quickly gaining popularity. The ornate mantles and surrounds of old homes are being rescued and renovated. This is often a more expensive option, but it is also lends the home a touch of class. Choices of reclaimed surrounds and mantles include anything from elegant, Victorian oak pieces to beautiful, vintage gothic designs. They provide a unique touch that is nearly unmatched by any modern design. A large majority of reclaimed mantle pieces and surrounds are crafted from wood such as Cherry, Oak, and Walnut. Cast stone fireplace mantles and surrounds are one of the most common and affordable design choices. It opens an entirely new world of possibilities for era mimicking type style. These range from classic Victorian to stately Georgian. 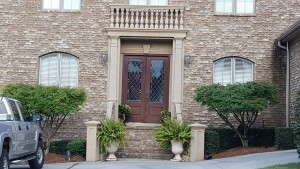 Cast stone designs are usually crafted from limestone which is man-made. The durability of cast stone is unmatched even by natural limestone. It is not as costly either because it requires less time to create consequent pieces than it does to cut intricate natural stone sections. Natural stone often has air pockets which can compromise its integrity. Cast stone is produced by a method of hand forging each piece which eliminates the natural air bubbles. Cast Stone may be the most versatile material available to design and construct fireplaces. It may be tailored to integrate seamlessly into any architectural blueprint. The style options are countless offering the appearance of quaint old style chateaus to fresh, leading edge décor. Cast stone offers safety and protection as it is fireproof and extremely dense like mined stone. 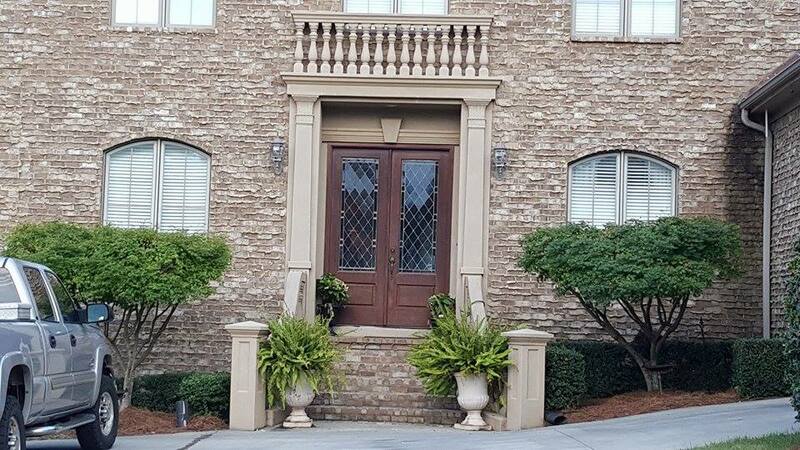 Cast stone is one of the most dependable and durable man-made substances around. It beats its natural predecessor, mined limestone, hands down. It is tremendously eco-friendly as it does not require crafting practices which generally create an excessive amount of waste. This material is fashioned on a need basis and is not mass produced ahead of time. Mined stone is usually cut and it produces significant quantities of waste. One of the most notable advantages of cast stone is its cost effectiveness which is substantial. Quarried stone requires hiring miners and trucks to transport it to the designer’s facility. Cast stone is used to create fireplace surrounds and mantles from any era. Home owners may choose between the exquisite class of the Victorian era with lovely flowing swirls and the elegance of old world charm for any bedroom. The ancient art of Roman Barcelona style and the distinct flair of Italy’s Bellagio architecture can also be recreated for the living room. The whirl of the grape vineyards of Greece can be used to adorn the mantle in the den or the French Versailles design can be used to change the ambiance of the dining room. Modern, urban and contemporary designs can be crafted from cast stone as well for those who prefer a sleeker style. It is extremely important to seek a reputable professional to install a new fireplace or to renovate an old one. This saves time, hassle, and future costs which may be incurred repairing the damage caused by an inferior contractor. It may also save lives and prevent the destruction of private property because an improperly installed hearth is an extreme fire hazard. We are here to answer your questions. Contact us today!